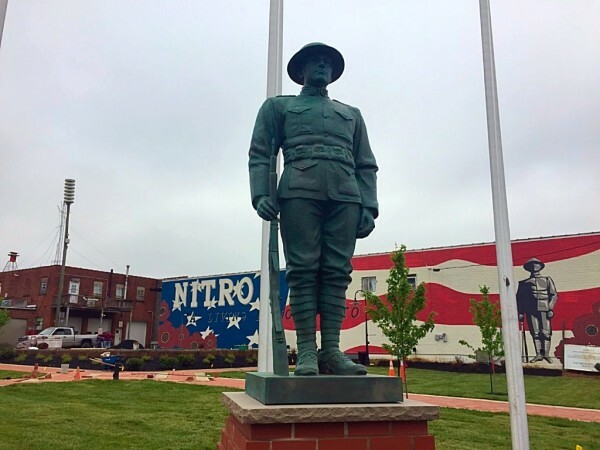 Nitro has several veterans memorials throughout the city. Please be sure to visit and pay respect to our military. 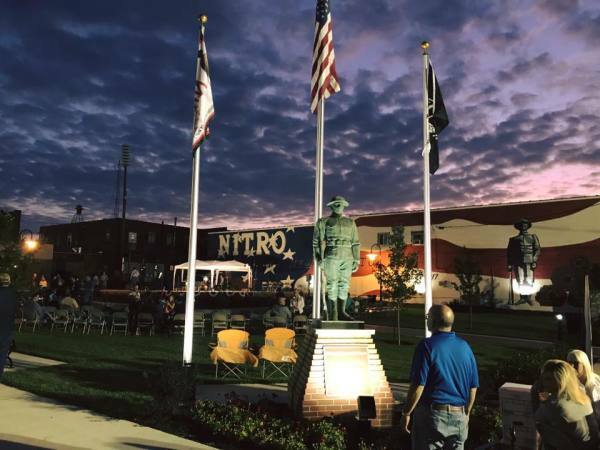 Dedicated in 2017 for the Nitro Cenntennial Celebration, Living Memorial Park has become a landmark to Nitro. The park features a hand-painted mural by Claire Hemme, a Nitro resident. Also, the park features brick pavers dedicated to veterans. Located on the corner of 21st Street and 2nd Avenue. 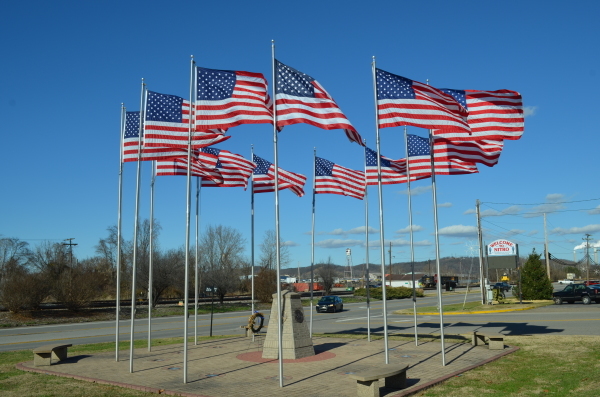 One of the original veterans memorials in Nitro, the Bank Street Memorial features a circle of 11 flags. Each Veterans Day, the Bank Street Memorial's flags are lowered at sunset the night before and raised at sunrise on Veterans Day. Beside the Nitro City Park, you will discover our memorial to those who fought in World War II.